The buck continues to be passed between Central Coast Council, the NSW Government and the Member for Robertson over the best location for a regional performing arts centre in Gosford. Ms Lucy Wicks, the Member for the Federal Seat of Robertson, and Mr Adam Crouch, the Member for the State Seat of Terrigal, have both said Central Coast Council has been responsible for stopping progress on the performing arts centre. Ms Wicks, whilst reiterating her commitment to deliver 600 jobs to the Gosford CBD as a result of having a new building for the Australian Taxation Office, also repeated her call for action from Council. “The Central Coast Council must once and for all announce where it’s putting the Gosford Regional Performing Arts Centre,” Ms Wicks said. “We have invested $10 million into this muchneeded cultural heart for Gosford,” she said. “December, 2016, marks six years since the State Labor Government decided to sell the old Gosford Public School site. 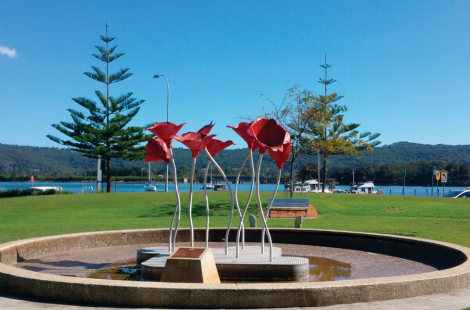 “Labor has spent most of that six years campaigning for a Performing Arts Centre not on that site, but on Poppy Park, or Gosford City Park. “In six years in Government, they never delivered the funding either. “So let’s stop all the empty talk over false rhetoric, and let’s get on with the job of delivering more jobs,” she said. Central Coast Council’s Administrator, Mr Ian Reynolds, said “We have met with Lucy Wicks several times on this and recently sent her a letter confirming we are actively investigating potential sites.